“A fair day’s pay for a fair day’s work”: This old saying used to have real meaning in the American economy. Sadly, in recent years, it has been proven untrue over and over again – especially in North Carolina. Remarkable as it may seem, “wage theft” – the phenomenon of employers simply and blatantly failing to pay workers for the work they perform – has reached epidemic levels in our state. 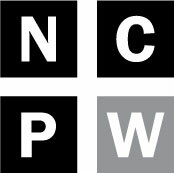 The North Carolina Justice Center’s 2013 report Wage Theft in North Carolina: The Hidden Crime Wave Robbing Workers and Communities documented at least $33 million in unpaid wages to North Carolina workers between 2007 and 2011. This was almost surely a large underestimate of workers’ actual losses. The problem is especially acute amongst lower wage workers with less education and fewer resources to fight back. Yet when affected workers turn to the Department of Labor—the state agency charged with ensuring that workers received their promised pay—all they often hear is the sound of crickets chirping. As this week’s news series in Raleigh’s News and Observer, The Reluctant Regulator documents, the department’s performance on a host of issues when it comes to enforcing the rights of workers has been downright pitiful. To make matters even more outrageous, some workers have been forced to endure employer retaliation for their efforts to collect the money that is legally owed to them. Some states, including Maryland, New York, Illinois, and California have taken aggressive action against employers who do not pay. North Carolina can and should, too. In the N&O series, Labor Commissioner Cherie Berry attempts to defend her agency’s record of letting hundreds of unpaid workers down by saying “it’s not as easy as people believe it to be.” It may not be easy, but if her Department of Labor is truly committed to finding and collecting unpaid wages and deterring employers from committing wage theft there are several things it could do to make its job easier. DOL should, for example, launch a publicity campaign to warn employers that their illegal conduct will be discovered and punished. At the same time, it should actively reach out to workers in low wage industries where wage theft is common, to explain their rights and the wage complaint process. DOL’s Wage and Hour Bureau should use a smart enforcement approach to affirmatively investigate potential violations, including unannounced audits and sweeps of high violation industries. It is rare that an employer fails to pay just a single employee; when the Department finds that a worker has not been properly paid, it should extend its investigation to the entire worksite. 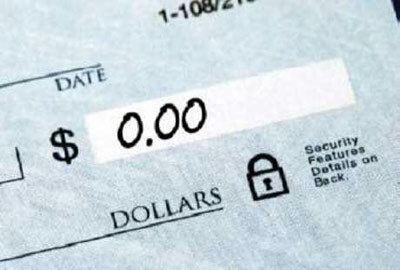 Too often, however, DOL follows the employer’s lead in wage theft investigations. If the employer does not respond to the investigator by confirming wages are owed, the case may be dismissed as “he said, she said,” although it is the employer’s obligation to keep proper records. DOL also routinely halts its investigations of companies that shut their doors, even when, in some instances, those companies reopen with another name. The fact of the matter is that even technically bankrupt companies may have sufficient assets to make it worth the Department’s effort to file a claim on behalf of the workers who are owed back wages. With additional tools, the Department could do more as well. One simple and common sense change would be to require employers to notify workers of the employer’s full name, mailing address, telephone number, and tax identification number at the time of hire so that collection of unpaid wages is easier. Increased penalties for wage theft, especially for repeat offenders, would be an additional deterrent. In addition, employees who have not been paid should be allowed to place a lien against their employer’s property. Recently, the North Carolina General Assembly advanced legislation to limit food assistance for “able bodied adults” to 90 days on the theory that the state should encourage struggling individuals to “work their way out of poverty.” Given such a backdrop, it seems the least North Carolina could do is to make sure that all who work are actually paid for their efforts. Right now in North Carolina, however, wage theft is a serious problem too often experienced by those who are least able to withstand its effects. The North Carolina Department of Labor (as well as Governor McCrory and the General Assembly) need to stop stalling and take swift action to change this situation and ensure that North Carolina residents are fully paid for all their hours worked. Carol Brooke is a senior attorney at the North Carolina Justice Center’s Workers’ Rights Project.